May Allah swt reward you for your efforts. Muslim prisoners have an extremely hard time practicing their faith in prison. Not getting access to halal food, inadequate prayer facilities, no facilitation of fasting during Ramadan are just some of the issues faced by Muslim prisoners. This is made worse by the sense of isolation from the Muslim community they feel. Sending small gifts for Eid to prisoners can be a major boost for them. It is a sign that they are still connected with the wider community. 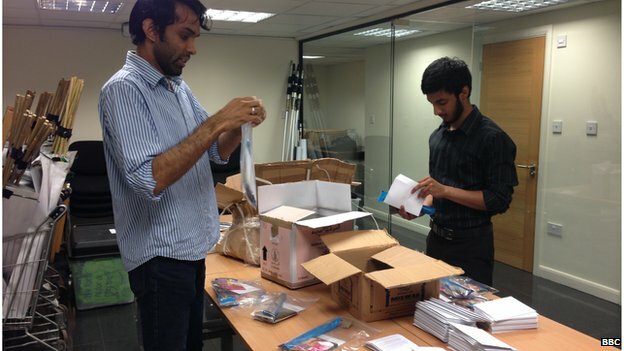 Our Eid packs for Eid al-Fitr 2013 reached 600 prisoners in 4 different prisons in London. The packs contained a small book of every day prayers, a bag of sweets, a miswak, an Eid card for them to use as well as a message from IHRC. “The Muslim prison population did appreciate the gifts from the Brothers and Sisters outside… And I would like to take this opportunity to thank you all at IHRC for thinking of the Muslim prisoners.” Muslim Chaplin, South London. “Masha Allah! I’ve just seen the Eid gifts and very impressed by what you guys have done in such a short time. Mabruk, TakabbalAllah. I’m sure your sincerity will pay dividends” Muslim Chaplin, West London . Our Eid packs were only possible due to the generosity of our donors and volunteers. We hope to continue this project in the future and welcome look forward to your continued support. Storytelling Session for Children: Ready for Eid!